Hi Friends!!! I’m happy to report that we had a few snowflakes last night in this part of Virginia. Totally put me in the holiday spirit. I’m tired of all the naysayers speaking out against those that are SO ready for the Christmas season. I am listening to Christmas music in my car now and as I wash up the dinner dishes. I think as things get tough out here in the real, adult world the more I/we need the specialness of the Christmas season. Sorry just a little soap boxing! Onto the real versus fake conundrum. I’m all for honesty. If you ask me about breastfeeding, having a baby, or going to an all girls college, I’m going to tell you the real deal. I am real about my family life too. I argue with my family, have fun with them, and love them. If you ask me my salary or how much I have in my bank account, I’m most likely to tell you that too. I know some things are supposed to be sacred and off-limits for talky time, but I don’t really hold with that even in religion and politics (FYI – Christian Episcopalian and Liberal with a small dash of Conservatism) How’s that for confusing/complicated?!?!?! For me, transparency and honesty is a natural. Now, I realize this can sometimes get me in trouble. An example of this would be in high school when I specifically told the teacher why my friend was out of school. I said, “Well, she has diarrhea!” That comment does make me cringe when I think back on it. I’ve even let honesty get me in a bit of hot water over a bridesmaid invitation. I mean, what kind of crazy person says “Are you sure you want me? We don’t really hang out or know each other well anymore.” Again, I kind of wish I’d taken a more tactful approach. For better or worse, this is my natural inclination. I like to think it does more good than harm most the time. Perhaps that is wishful thinking! When it comes to food, I am definitely convinced that real food wins over fake. 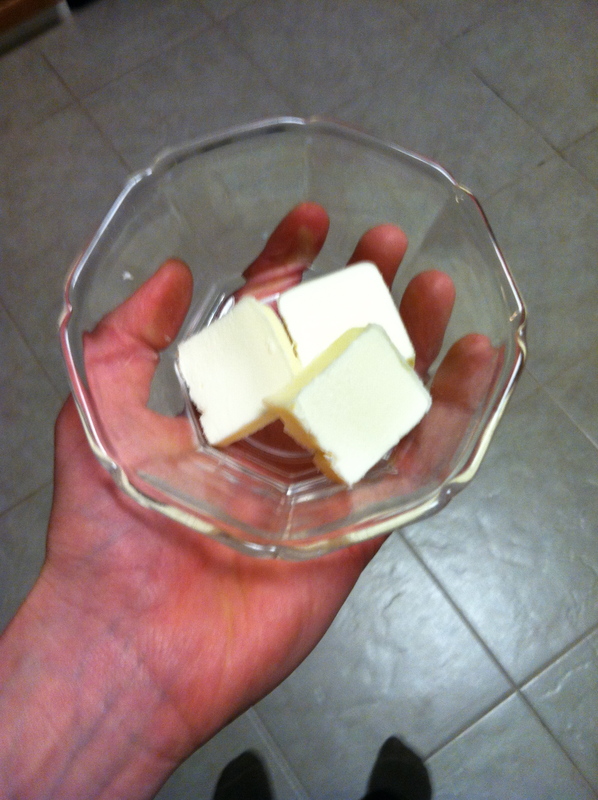 I use real butter and sugar in my recipes. I have used Splenda but only those yummies I was cooking for diabetics. 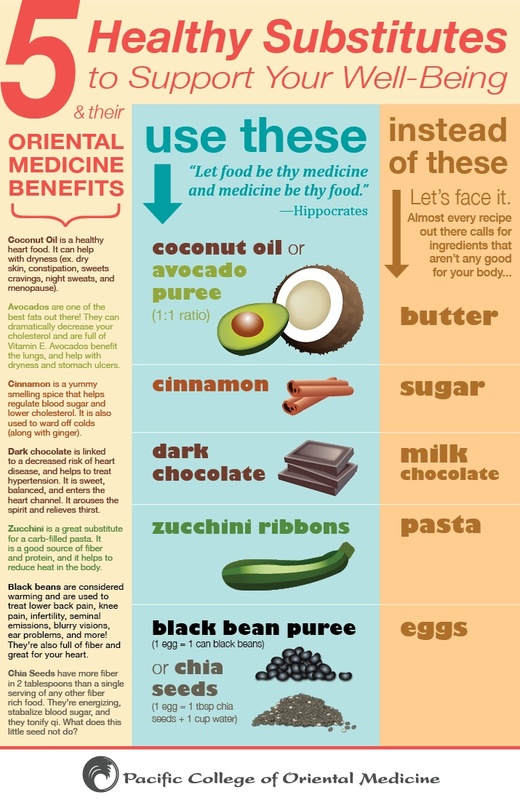 I will substitute butter for other real foods like coconut oil, applesauce, or even yogurt. 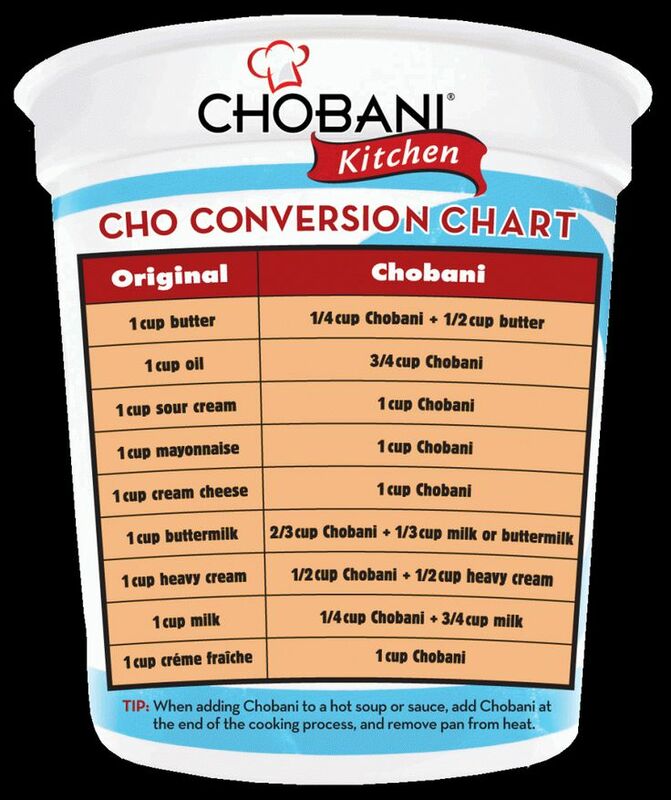 See below for easy substitutes! Just say no to fake sugar and margarine. I do value the butter taste in some recipes though. I do use real mayo as I am totally in love with mayo and find it to be worth the extra calories. As my grandfather would say, “I could eat it with a spoon!” Don’t tell, but I actually do lick the spoon when I’m done with it. Gross, I know, but so good! Although real food can have more actual calories in it, I just feel so much better knowing I’m eating something that wasn’t developed in a laboratory. If you feel as if you need to cut calories or fat in a recipe, use a healthy substitute from above or Goggle or Pinterest “healthy cooking substitutes.” Happy Cooking! 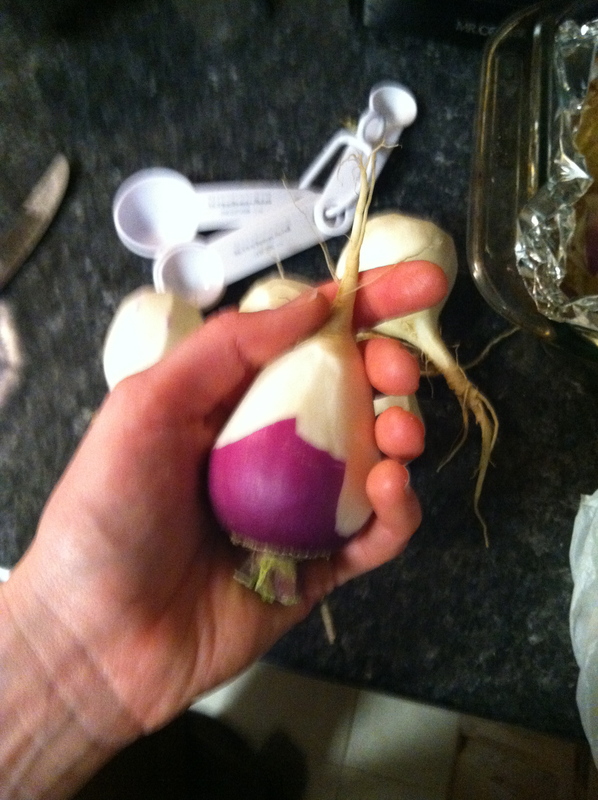 My favorite & H’s favorite “real food” in winter is the TURNIP! 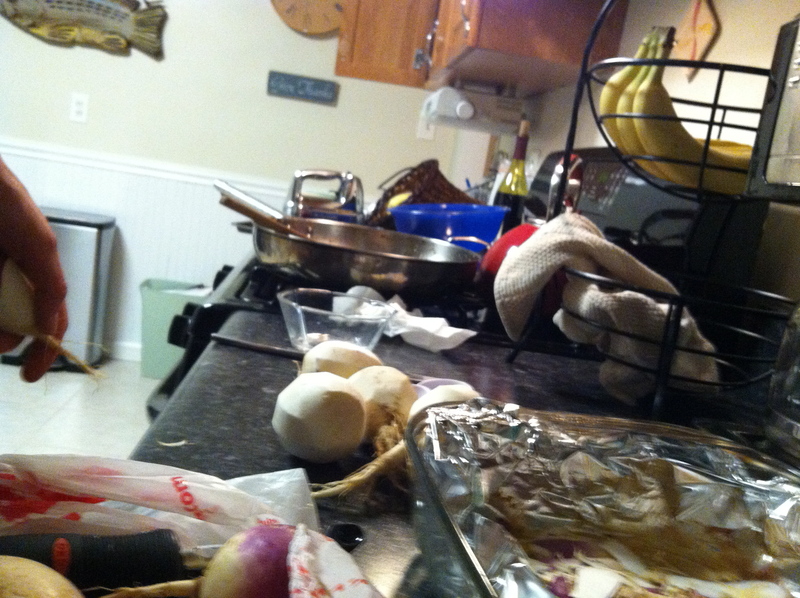 The mess that is my kitchen every.single.night. This entry was posted in Uncategorized and tagged Butter, food, Life. Bookmark the permalink.